Trying To Go Green: LEGO KIDSFEST Missouri: March 20 - 22, 2015 & 2 Ticket Giveaway!!! LEGO KIDSFEST Missouri: March 20 - 22, 2015 & 2 Ticket Giveaway!!! 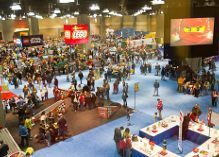 The LEGO KidsFest national tour stops at America's Center in St. Louis from March 20 - 22, 2015, for the very first time, bringing all of the creative hands-on, minds-on fun of LEGO building and experiences together in this three acre activity- and entertainment-packed family event. 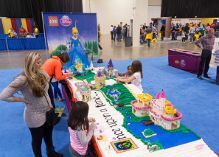 * Creation Nation: construct a creation to add to a custom map of the U.S.
"Any family who likes to be inspired, get hands-on and have fun together won't want to miss LEGO KidsFest," said Vince Rubino, LEGO Events Manager. "We're bringing so many activities for families in the St. Louis area to test and showcase their creativity and building skills in what is sure to be a family event to remember." Based on sell-out attendance in previous markets, advance ticket purchase is strongly encouraged. Five identical sessions are available for the three-day tour stop. 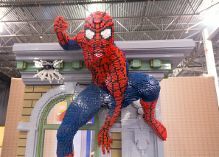 LEGO KidsFest tickets are $22.50 for adults and $19.50 for children and can be purchased online at http://www.legokidsfest.com. The LEGO KidsFest 2015 tour stops include Arizona (Glendale): February 27 - March 1; Missouri (St. Louis): March 20 - 22; Tennessee (Nashville): April 17 - 19; and Texas (Austin): September 4 - 6. On tour since 2009, previous LEGO KidsFest tour stops have included major cities such as Chicago, Boston, Atlanta, San Jose, Cleveland, Houston and more. Tickets generally sell out and attendance averages 27,000 visitors at each venue. To date, more than 700,000 have enjoyed more than 35 LEGO KidsFest shows. In 2014, the tour made its first stop in Alberta, Canada, selling out a week before the show. 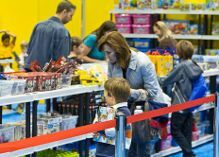 In 2013, the LEGO KidsFest was awarded Best Proprietary Event by Event Marketer Magazine. The LEGO KidsFest is managed by BuzzEngine, an event and marketing agency. Also I know alot of my followers have babies and kids UNDER 2 are free!! I can not wait and this event is in between both of my boys birthdays. Brendan will be the most excited to go to this even he has always loved LEGO. I will be there blogging this event. One of MY followers will win (2) tickets to for the opening night session on Friday, March 20, 2015 (4-8:30pm). I encourage you to LIKE and Follow LEGOKidsFest on Facebook, Twitter and/or Instagram for all the latest ticketing updates as this event has been selling out in prior cities. Must be 18 to enter, 1 entry per day allowed, random drawing by USFG! All you have to do is enter HERE! Also not for entries but leave a comment below letting me know if you are going and who you know that would love to go to LEGO kid fest.